We are greeting you on the site of the PJSC «HARTRON». Our enterprise was created in 1959. At present PJSC «HARTRON» enterprises work in such segments of the market as rocket and space branch, power engineering, including nuclear power engineering, railway transport. Rocket and space area are prevailing in PJSC «HARTRON» activities. The enterprise occupies leading and in some cases monopolistic position on the market. 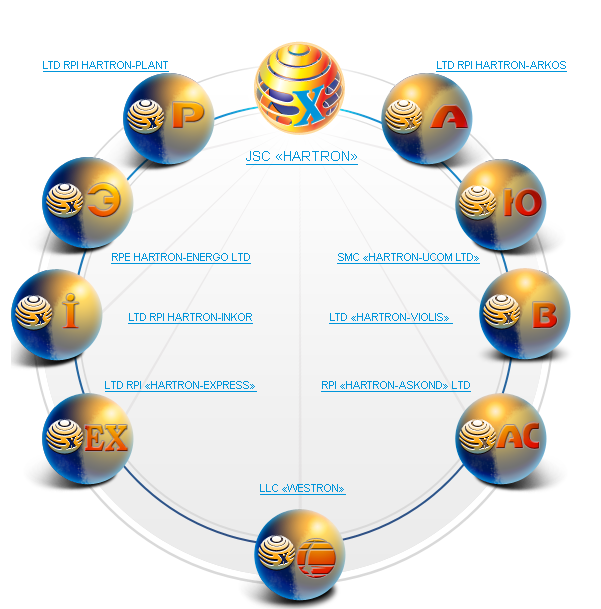 PJSC «HARTRON» is a holding structure, comprising the managing PJSC «HARTRON» itself, and ten enterprises, created with participation of the managing Company.